Introducing Canton’s restaurant dynamic duo, Mel Carter and Brett Lockard, partners in Blue Hill Tavern, Tavern on the Square and Shiso Tavern tavern crawl. It’s a party, inclusive of transportation and limited to up to 14 guests. The owners have been offering their tavern crawl for awhile, all sell-outs. They took the summer off and are back, full steam ahead, for the fall/winter season. 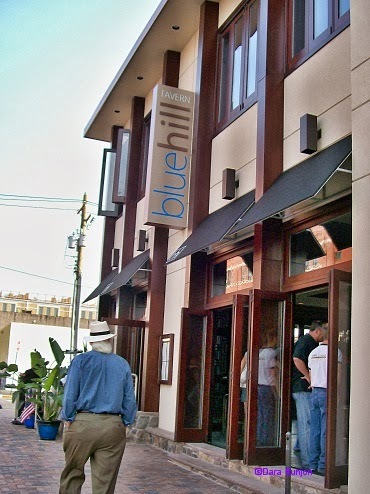 Before this gets lost, if you want a unique evening with friends and/or family contact Katrina at Blue Hill Tavern who can guide you through creating your own personalized Canton tavern crawl. Pricing varies with menus but think around the $65 to $75 per person range inclusive. Read more, enjoy the virtual tour and slideshow HERE.